A man alleged to have sent inappropriate sexual messages to an employee and disrespecting employees while the head of an Edmonton-based centre that assists French-speaking newcomers is no longer employed by the organization. Since 2003, Georges Bahaya, a prominent figure in Edmonton's francophone community, has headed the Centre d'accueil et d'établissement du nord de l'Alberta (CAE), which offers support and services to French speakers who have recently moved to northern Alberta. Six people have accused him of using his position to engage in inappropriate behaviour. No legal action has been taken and no formal complaints have been made by the people making the allegations, but the CAE says it is conducting an independent investigation. Both the CAE and Bahaya have indicated to Radio-Canada that they would not comment on the allegations made until after that independent investigation has concluded. 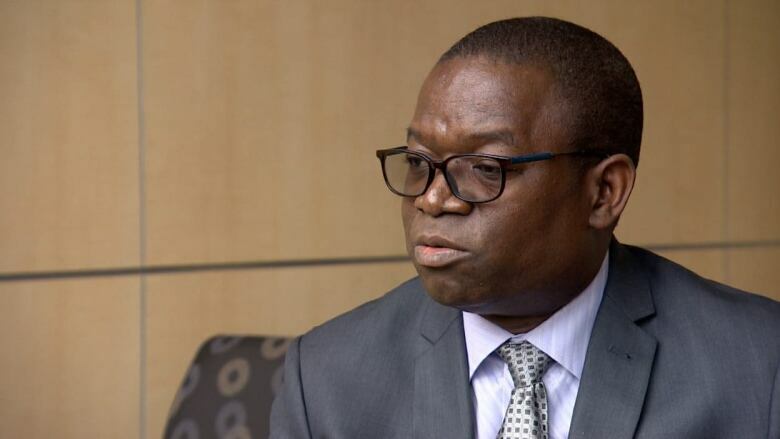 In a July 8 letter sent to the centre's partners, the president of the CAE, Paul Dubé, wrote in French that Bahaya's removal was not due to misconduct. Instead, the decision was made for the good of the organization, Dubé said. He criticized a Radio-Canada investigation into the allegations against Bahaya, and reiterated that he feels Bahaya and the CAE have an excellent reputation.